Solanum nielongena L.(Solanum melongena) called eggplant by Americans, is also known as Guinea squash in some Southern U.S. regions, “aubergines" (French and British), “bathinjan” (Arabic), "badnjan" (Persian),"berenjena" (Spanish), "berinjela" (Portuguese), "melanzane" (Italians) and "melitzane" (Greeks). Eggplant is a fruit we consume as a vegetable. Technically a berry, eggplant comes in a wide range of shapes and sizes, from spherical to cylindrical, and from tiny to enormous, from 2 to 12 inches in length. 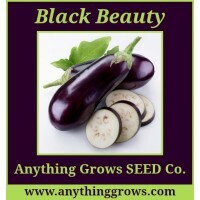 There are creamy-white, egg-shaped eggplants, thin Japanese eggplants, small grape-like green Thai eggplants, rosy pink and white striped eggplants and purple and white striped eggplants and most commmon in the U.S., pear-shape variety with a smooth, glossy, dark purple skin. 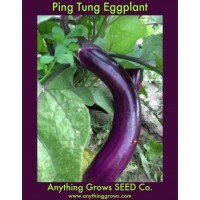 Eggplant is a warm-weather plant that thrives in the hot summer. Tasty fresh from the garden, baked or fried. Harvest the fruit when it reaches full size & is still glossy. ..
Heirloom. Easy-to-grow Asian eggplants are long and slender with tender magenta skin. 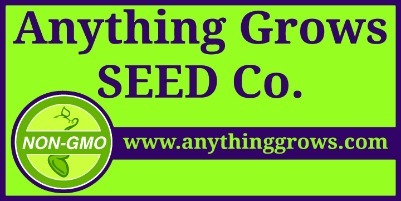 This variety can yield up to 20 fruits per plant and are vigorous and stress-tolerant. Slim fruits average 1-2” wide; plants should be staked for straight fruit. Very tender skin does not need to be peeled. Productive • 12-18” fruit. (Solanum melongena). Maturity 70 days. ..